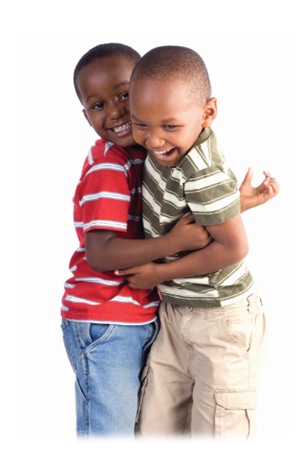 Matt & Eric were 3 and 4 years old when they were placed in our foster care program. They were removed from their parents care and placed in foster care due to neglect – they were not receiving appropriate medical treatment. Both boys were significantly developmentally delayed as a result. Matt & Eric come from a big family, including 3 other sisters, all a year apart, and all with some type of delay. Their parents are delayed as well. The parents tried very hard to care for the children appropriately, but weren’t able. An example is that one of the children was kept in a high chair all day in order to be safe, but then wasn’t learning to crawl or walk. 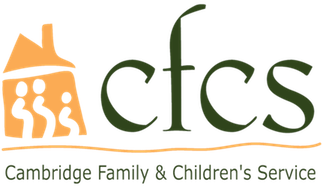 When the boys came to CFCS, both were non-verbal and knew just a few signs in ASL. They were also not able to dress or feed themselves and were not potty-trained. They never wanted to go outside to play and cried when the foster parents brought them to the park - there were too many people. The boys needed a lot of medical follow up, which included an average of 7-8 doctor appointments a month. The appointments were in Waltham, Peabody and Boston - and the foster home is in Lawrence. The foster parents have been great, taking the boys to all of their appointments and any other follow up that is needed. Eric started speaking and putting words together, then eventually started to form sentences and can now participate in a conversation using full sentences. He is able to dress himself and helps out all of the time around the house. He is now fully potty trained. Matt can now dress himself with some help. He changes his diaper by himself and puts on a new dry one. He has been babbling more and about 2 weeks ago, at my home visit, I heard him say “Mama.” I had never heard him speak any actual words before. He qualified to have his own communication device, which he is learning to use to express his needs. The goal for the boys changed from reunification to adoption as the parents are not able to control Matt’s behaviors when they are with him, and their wish is to keep the boys together. During foster care reviews the mother showed so much love for her children, but knew she couldn’t handle all five of them. She cries every time. In December of 2013, Matt & Eric were adopted by their foster parents along with their sister, Karen.